Toriko and Komatsu learn about the vanishing forest disappearing when faced with threats. They reach the temple and discover that it is more violent than the forest, attacking those it feels aren’t honoring the food. Criminals are brought here to be taught how to honor the food and rehabilitated. Chin Chin-Chin tells them they will learn from the assisstant instructor Shu. 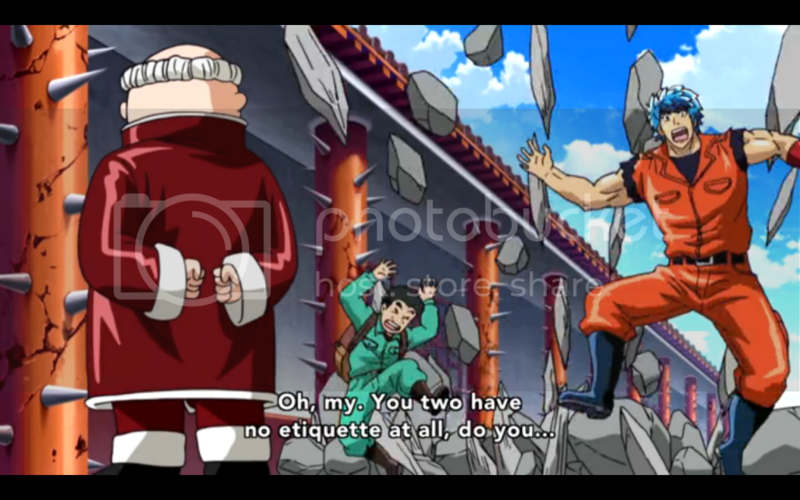 I’d say that overall this episode was more enjoyable than the last. A lot of the dialogue took far longer than it should have, but there weren’t any specific moments that felt like they were deliberately wasting time. It’s still poor pacing, but poor pacing because of excessive dialogue and not poor pacing because air time needs to be filled. I know this may count as a spoiler, but I don’t think anyone is being fooled like they were in the manga. Chiru is clearly a woman. I say clearly because not only is her voice actress a woman, but in this episode she’s drawn with what is obviously a womanly form. It stands out because last episode she looked much more masculine, but in this episode there are more noticeable curves. 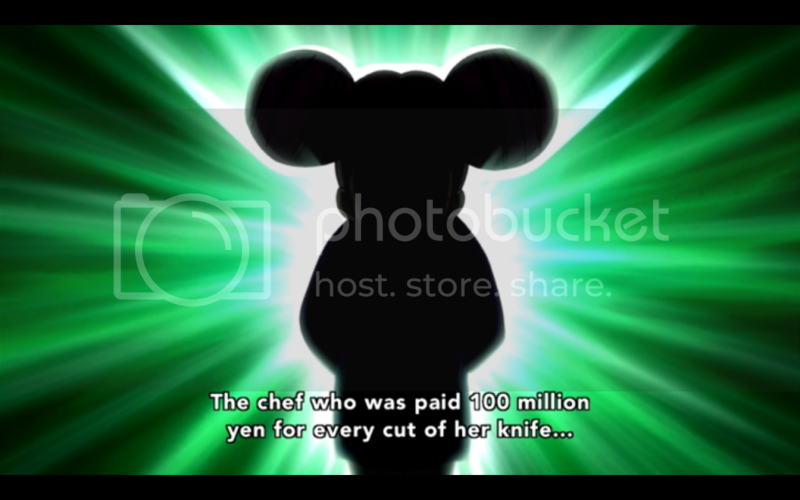 Methinks that perhaps the animators decided to stop kidding themselves and just made it obvious. I like the idea of honoring the food. It makes sense in a world where everyone practically worships food, that there are people that actually worship food. Except in this case the idea is one that I’ve found not too uncommon in Japanese society, or at least the rural parts, that one must respect food. In the real world I’ve seen this in the form of finishing every bit of food on the table out of respect for the farmers that spend their effort growing it. I try to be intelligent in my discussion of this series, and for the most part I think I succeed. But when I come to the games at the end of the episode I can’t help but feel it’s a wasted cause. The current finding game makes it very clear what age group this anime is for. Which, considering how violent it can get, is really odd. I guess TV executives in Japan have a different idea of what is appropriate for younger children. 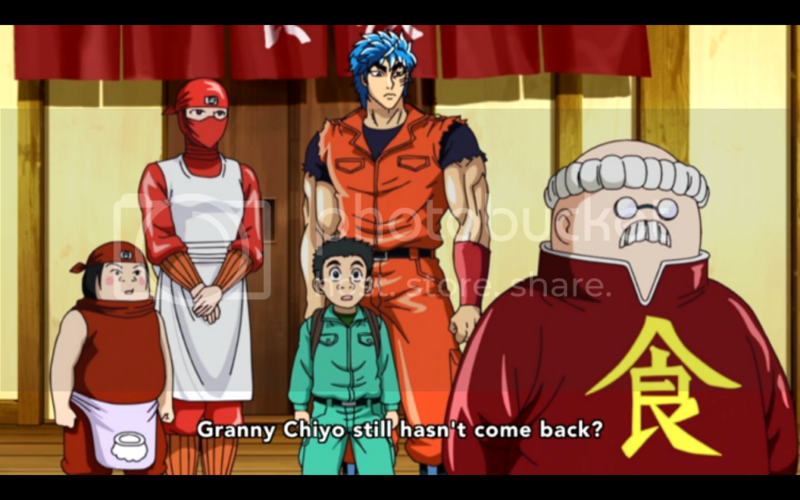 I would have thought Toriko was for teens. But Tina’s segment at the end of the episode reminds me a lot more of something I’d see on Blue’s Clues rather than, say, Dragon Ball Z. 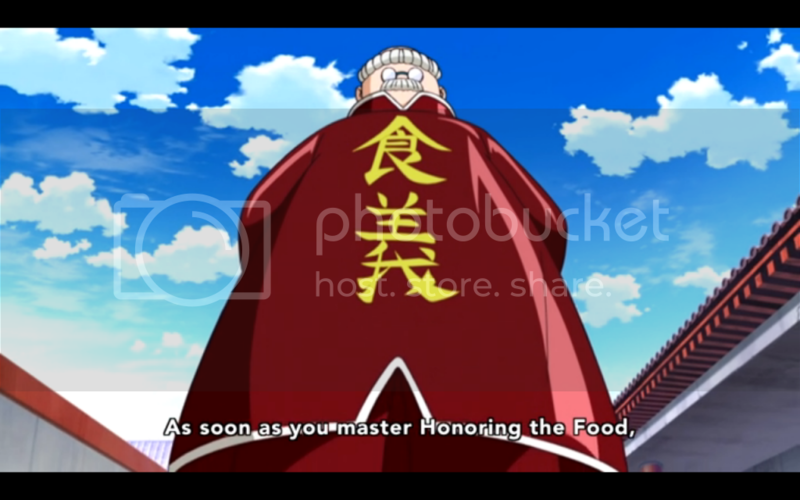 Previous Post:Anime Reviews: Toriko Episode 100 – Put Your Hands Together and Bow! 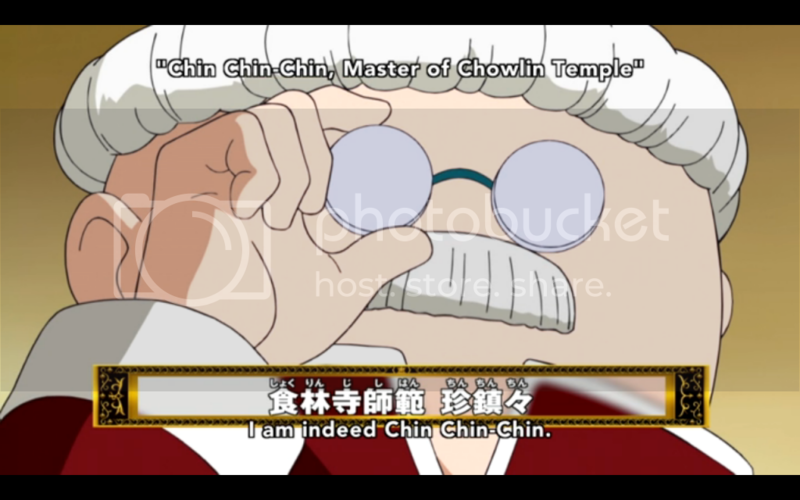 National Treasure, Chin-Chin, Appears!